A 45 year old lady with history of hysterectomy and bilateral salpingho oophorectomy, presented to her gynaecologist for symptoms of lower urinary tract – dysuria and frequency. She was sent for a routine evaluation of the abdomen and pelvis. 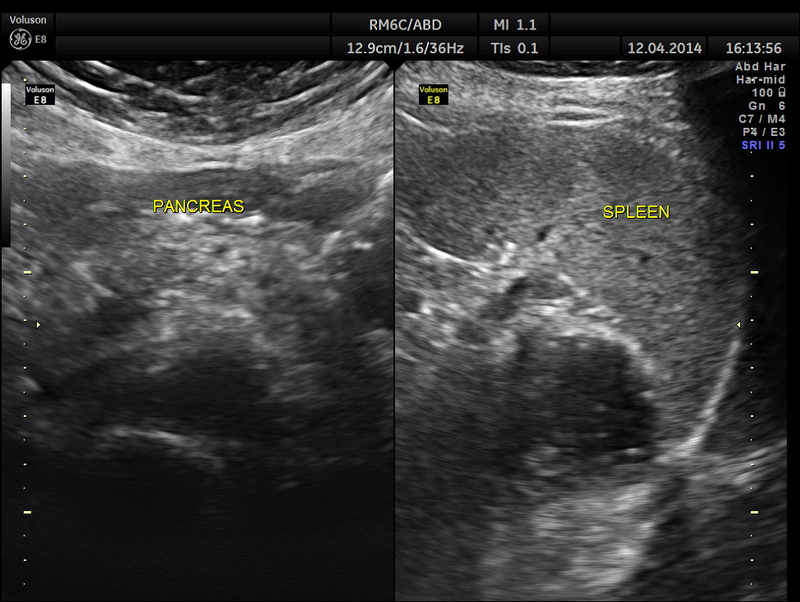 The following pictures show a normal liver, gall bladder, pancreas and spleen . 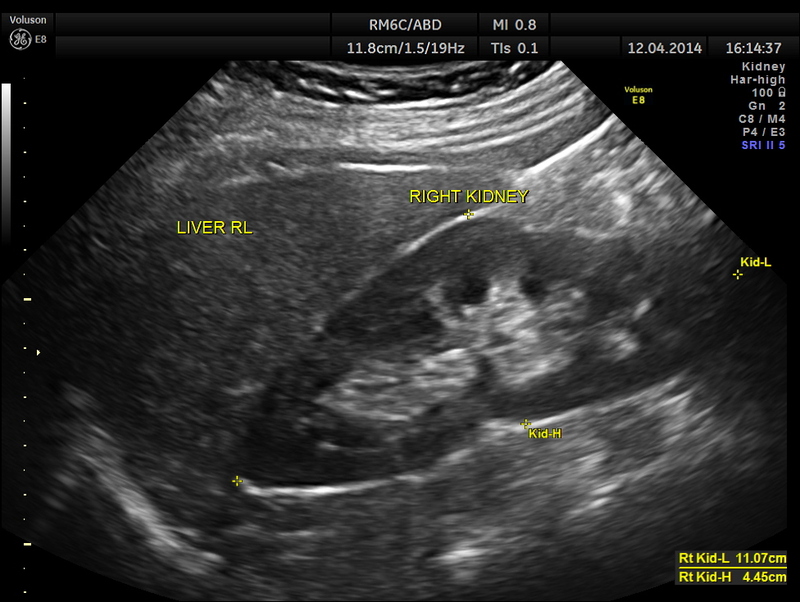 Both the kidneys appeared to be normal . No calculus was seen . There was no evidence of any obstruction. 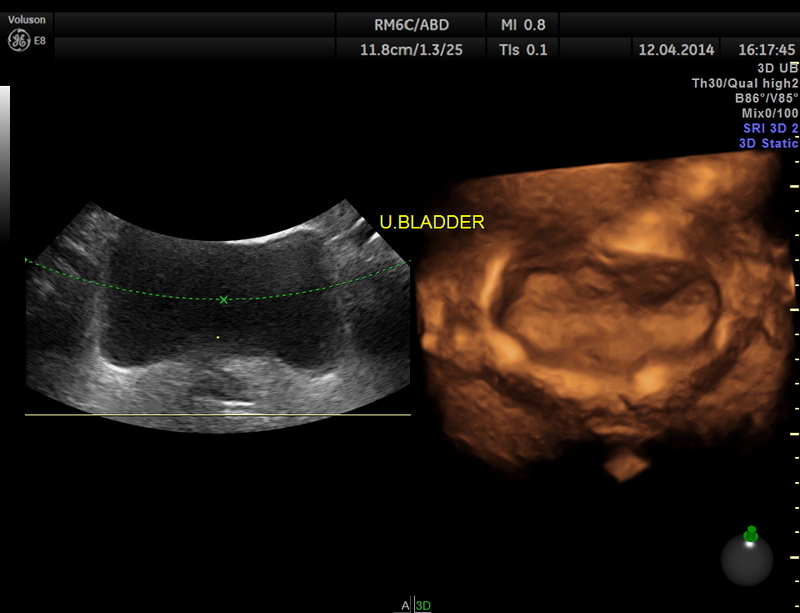 Urinary bladder wall was mildly thickened . 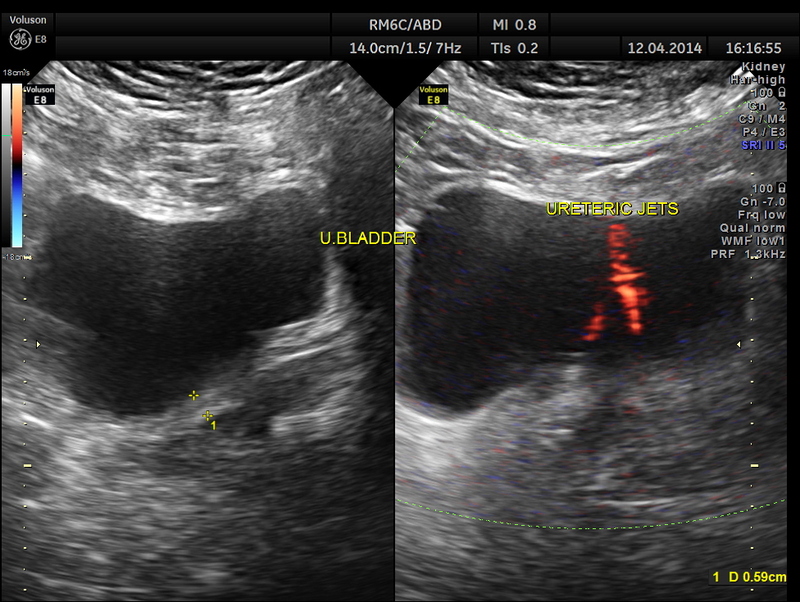 3D showed fairly normal bladder mucosa . Ureteric jets were seen normally. The distal ureters were not visualised . Post void bladder was studied and showed the following . 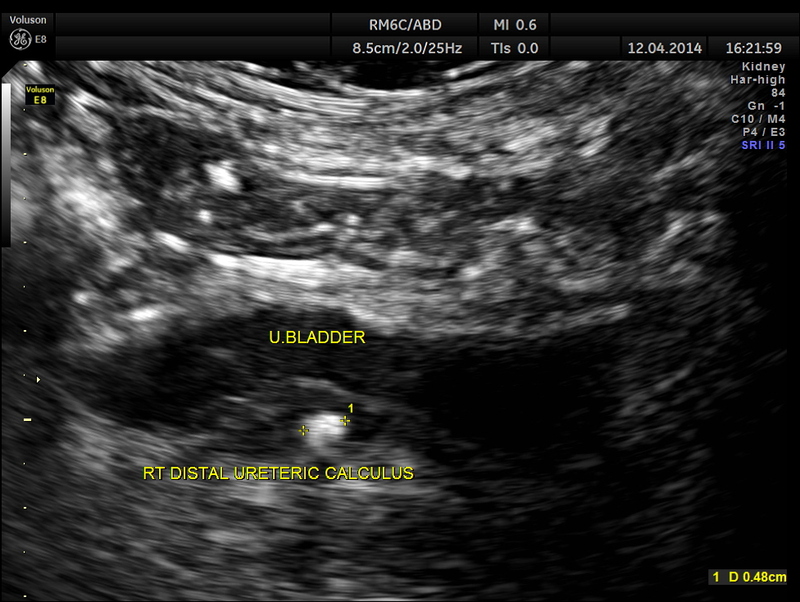 Lo and behold – a distal right ureteric calculus is clearly seen now . 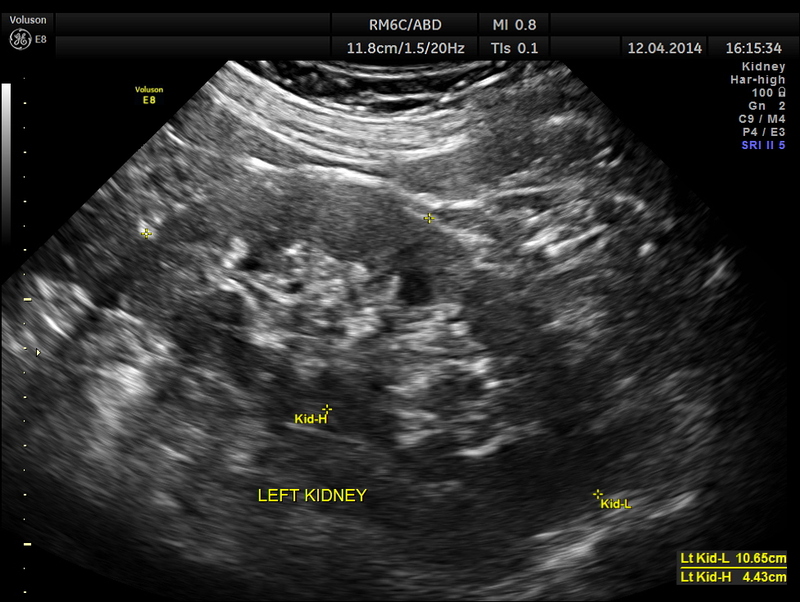 Usually we pick up all ureteric calculi and distal ureteric pathologies with a full bladder . Usually distal ureteric calculus will cause some amount of obstructive features in the ureter and the kidney . That was also absent in this patient . But occasionally like this patient , the distal ureters can be compressed with a full bladder and such findings could be missed unless we do a post void study, especially when they have a LUTS symptoms . 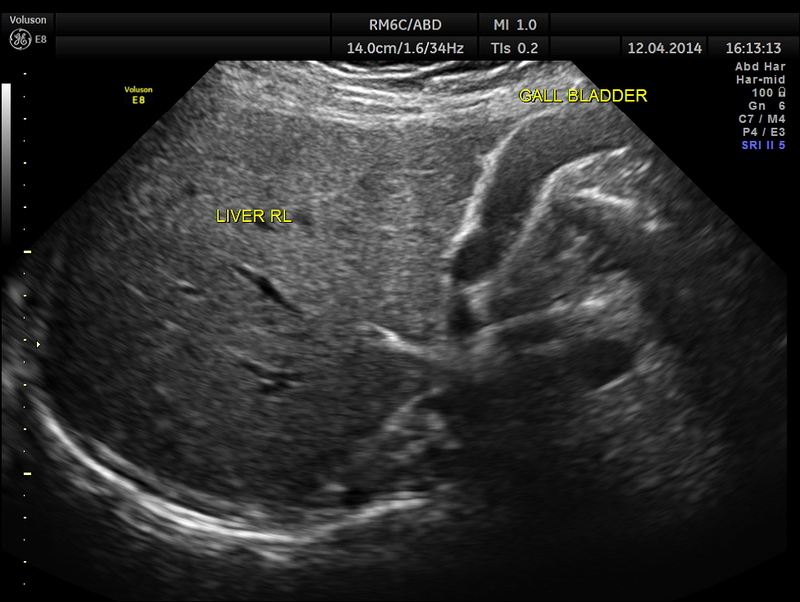 In this patient the bladder wall also showed mild thickening. Many thanks for posting a case with academic interest. You have measured both pre & post void volume in a single scan . We usually take two scan one in Ts & other in Ls for each volume measurement. Which one is more reliable single or double scan ? One C.T.Lower Abdomen would have resolved the problem instead of taking too many pictures giving pain and expense to the old lady, am I right krish? Very interesting! Thanks for sharing this case. I will keep this in mind. 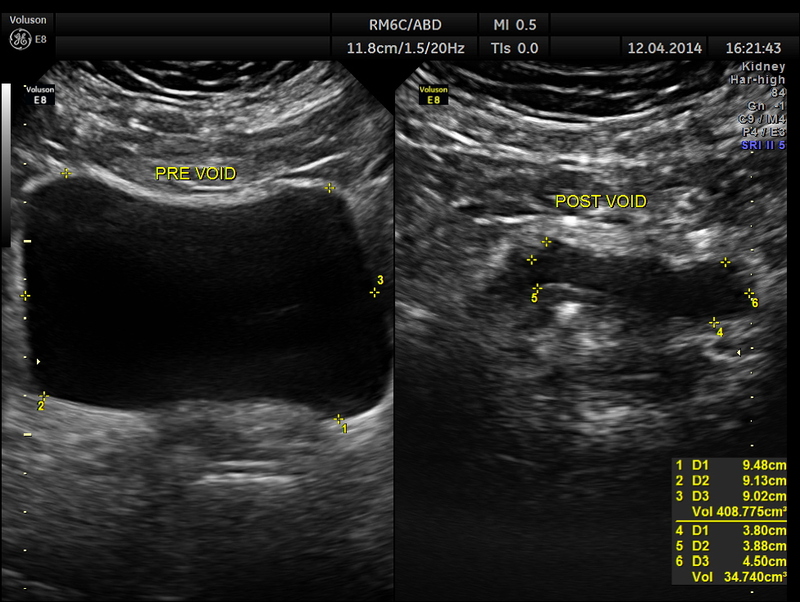 Calculi under 7 mm are so difficult to identify with ultrasound as hard to achieve posterior shadowing. Well done!